Riverside Golf Club has recently received an award for Best Course Golf in Indonesia as a 2nd Runner Up at Asian Golf Awards 2017 in Danang, Vietnam. In addition to the award, Bogor was also given the recognition as the Most Stunning Golf Venue in Asia, highlighting Indonesia as a favourite golf destination. Riverside Golf Club is an 18-hole championship golf course designed by Greg Norman located along the Cikeas River. Riverside’s strategic location makes the golf course is easily accessible with 30 minutes drive from Jakarta. Setting in a lush dramatic greenery hill, Riverside provides players with a challenging and adrenaline experience with stunning visual golf landscape. In addition, offering more than just a good game of golf, Riverside Golf Club also has excellent meeting and banquet facilities for corporate networking, spacious swimming pool for refreshment, Spa to relax as well as high-end dining option at Riverside restaurant. Mr Zainal Syafrudidin M. Si., Head of Marketing for Tourism Bogor added: “It is an honour that The Asian Golf Awards has acknowledged Bogor as a golf destination with the recent award received as the Best Region for Golf in Asia in 2017. This is not the first time that Bogor received such award. In 2016, Bogor was awarded as a sporting tourism destination for golf. There continues to be a real appetite for golf in Bogor, which is reflected in the impressive rise in the number of international visitors over recent years. 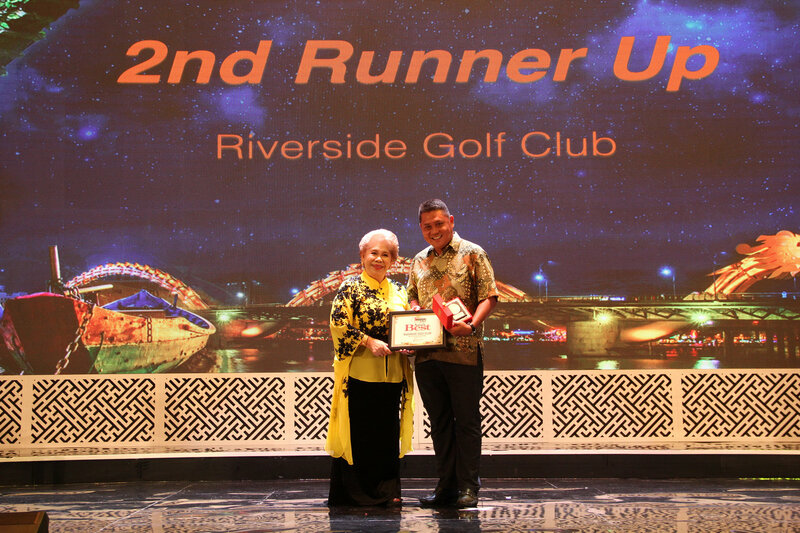 “Riverside Golf Club has contributed as a major player to increase the number of golf player in Indonesia which resulted in helping Indonesian tourism enhances their exposure to another level,” added Mr Zainal.